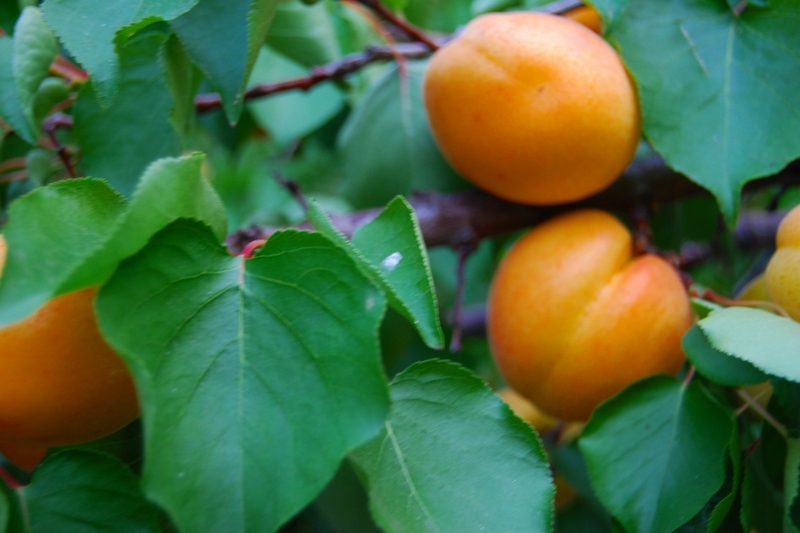 Apricot (Prunus armeniaca): growing, planting, caring. Prunus armeniaca is the wonderful tree that bears the most common type of apricot fruit, also known as the Armenian plum. It should be raised in warm, sunny climates. As its scientific name suggests, it is native to the Middle East and therefore doesn't thrive outside this type of climate. North of the Mediterranean, unless they are painstakingly sheltered from the elements, reaching harvest is an exceptional challenge, as the flowers start freezing at -2°C. Plant this tree in sandy soil, as you would plant any other type of fruit tree, in a sunny spot, sheltered from cold wind. Its flowers are white to pinkish, and bloom in March. A small tree with a spread out habit, with pink/white flowering before the appearance of leaves in March. Serrated elliptical leaves. Sweet yellow orange fruits in summer: you know, apricots. 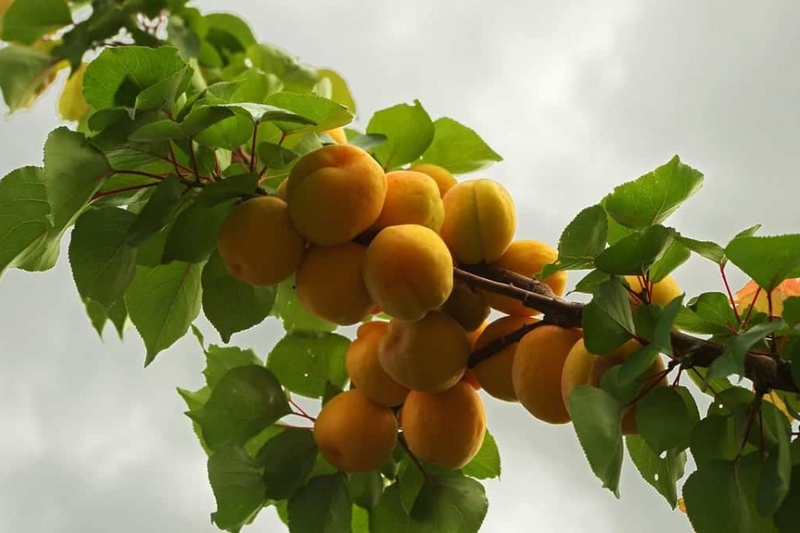 Plant the apricot sheltered from the cold in sandy, ordinary, neutral or chalky soil, in direct sunlight, preferably at the end of autumn or in winter, in unfrozen soil, during the plant's dormant period. Before planting, trim damaged roots, balance the root volume and the above ground volume. Plant in a hole that is at least two times bigger than the root ball, generously spraying the roots with water before planting: this will greatly improve the chances of the plant taking root, no matter the conditions. While digging the hole, separate the layers of dirt in two piles that you will put back in order. Drive a stake into the bottom of the hole to the side to provide protection from strong winds. Replace the earth starting with the bottom soil, place the tree and pay attention not to bury the root collar, which is just between the roots and the trunk. Fill the hole in and form a basin around the base, which will be used for watering the first months by tamping down the soil around the roots. Don't hesitate to use all of your body weight! Attach the trunk to the stake and water until the planting basin is full — at least two watering cans! 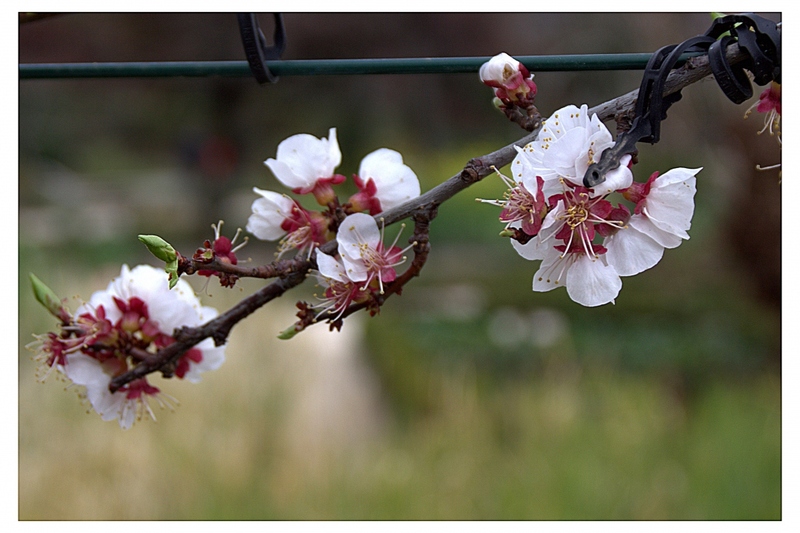 If you don't have any idea how to prune, don't do it, especially since apricots are often well balanced. If you feel that you are capable of pruning to help the fruiting, in March before the flowering (swelling of the buds), prune! First, remove dry branches, those that touch each other, and those that sag. Next, preferably keep the branches which have flower buds (rounder and perpendicular to the branch's position), potentially shortening them if needed, and prune more severely the branches that will only sprout wood (small pointed buds, more parallel to the branch) by leaving only 4 buds. Carry out neat cuts, always about 1/2 cm above the last bud that you want to keep, with pruners or two-handed pruners. Turn your pruners so as to have the counter blade near the part you want to remove. Good luck! Thoroughly mulch the base of young apricots the first year with wood chips or bark. This will limit weed growth, and you will avoid the chore of watering! Apricots, depending on the variety, are harvested between June and August. Harvest a bit at a time so as to take only the well ripened fruits, by pulling the fruit with a little twist. The apricot is ready to be picked when it is soft.